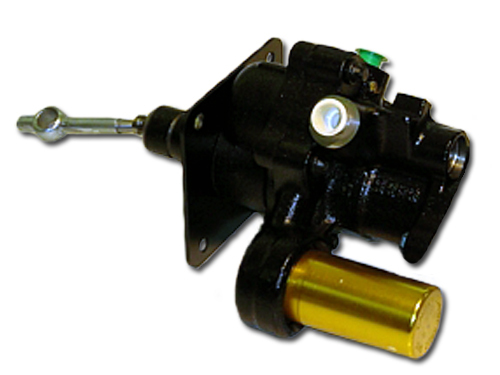 This new Hydro-Boost, hydraulically powered brake booster, is a conversion for the electric motor driven hydraulic booster that the vehicle comes with. The stock electric units are a type that has been used on a few different vehicles over the years, they put out lots of power, but have weak points. The electric motor eventually goes bad, as do the accumulators and pressure switches. The three parts will eventually rotate in failure, and a bad pressure switch can cause brake fluid to get into the windings of the electric motor (which means both would have to be replaced). Each of these parts can cost upwards of $400 a piece, and the parts eventually become obsolete, so they are impossible to find. A conversion to the Bosch Hydro-Boost can be expensive up front, but the units are very reliable, it puts out similar power to the electric units, it runs off the power steering pump which is belt driven rather than electric motor driven (a very good thing), and can be maintained for a fraction of the cost of the electric unit.